Scented storage and perfume memories | Is This Mutton? My first fragrance was Avon's Pretty Peach, the bottle having a pretty peach shaped stopper. I remember asking for Dorothy Gray's Midnight when I was about 12 and getting it for Christmas; also Hartnell's In Love. The influence for these was my mum, because she'd worn both of them when she was young. 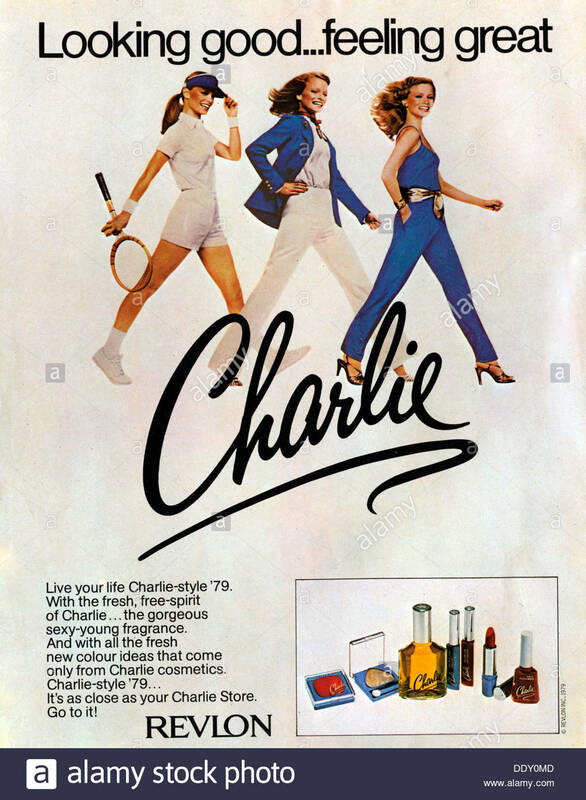 The first fragrance that felt like mine, and made an impact, was Revlon's Charlie. It was quite revolutionary at the time, not just in the boldness of the smell but the advertising, which showed confident young women in trousers striding out. I was a big consumer of perfume in my 20s and 30s and heavily influenced by what was in fashion. Scents which passed through my hands included Cabotine de Gres, Joy, Knowing, Cinnabar, L'eau d'Issey, Rochas's Byzance and Lumiere, and Vivienne Westwood's Boudoir. You can see from that eclectic lineup I hadn't decided what I actually liked: chypre, spicey, floral? It was when I was around 29 that I fell in love with the perfume that became my signature: Dior's Diorella. I was sent on a women's management course and made friends with a lovely lady called Diane. I was intoxicated by the perfume she wore, which was Diorella. As she lived a long way from me, I didn't feel too bad about appropriating it. Diorella was first introduced in 1972 with the nose behind the fragrance being Edmond Roudnitska. It has long been considered a masterpiece. It's a fresh floral chypre with top notes of Sicilian lime and basil, honeysuckle and peach in the heart and vetiver and oak moss in the base. Unfortunately Dior has changed the formulation and you can no longer get it in eau de parfum which I always prefer to eau de toilette. I don't care for the new formulation which has a more bracing after-shavey smell about it. Thank goodness for eBay where I recently bought a vintage bottle of eau de parfum still in its cellophane. The new box is shown in the photo but I also have a precious old bottle with just a few drops left in it. I haven't always been faithful to Diorella, which I only wear on special occasions now. I went through a spell of loving the brand Penhaligon's and had several of their fragrances, two of which you can see in the box. I loathe Bluebell now but it's apparently loved by Kate Moss. I became fixated with trying Cartier's Le Baser du Dragon. It sounded like a real "Marmite" love it or hate it perfume with its resinous odour and name "Dragon's breath." I had a squirt in a store, liked it and then made the mistake of buying it right away. I wouldn't say that I dislike it, but it's a perfume that wears YOU and I find it a bit too in-your-face. It was the same with Piguet's Fracas, often described in novels as the perfume worn by a feisty, independent heroine. I have tried it several times and never liked it. Remember Me by Dior, which you can see in the picture, was a limited edition fragrance that I bought at Stansted as I went on my first and only holiday abroad on my own. I always wear Dior's Diorissimo as we move into spring because it's such a strong reminder of beautiful spring flowers and balmier evenings. Perfume is very evocative and certain smells take us back to childhood or particular memories. My mother used to wear Elizabeth Arden's Memoire Cherie, which has long been discontinued. I remember the soft, delicate fragrance. I found some original soaps on eBay in the US and gave them to mum for her birthday but she no longer loved the smell. My gran always wore Yardley April Violets. Not long after her death, my mum was convinced she suddenly smelt a trail of this fragrance and was certain it was my gran saying she was OK. In the last couple of years I discovered a wonderful perfume blog by Samantha - I Scent You A Day - short listed for this year's prestigious Jasmine awards. She has introduced me to atelier scents and I am much less inclined to look at mainstream perfume now (those found at airports!). She is far from a perfume snob, however, and often writes about low cost perfumes you can buy in chemists and she writes glowingly about Avon's best scents. Samantha also introduced me to discovery boxes from The Perfume Society. You can become a subscriber or you can buy them individually. These are a great way to find new favourites. In the run up to National Fragrance Day (March 21) I'll be interviewing a few ladies on their own scent memories and suggesting some ideal gifts for Mother's Day. So look out for those posts! How have your perfumes changed over the years? Do you still have one signature scent or do you wear several according to the seasons or what you're wearing? Do tell! Follow my blog on Bloglovin to get a weekly update email telling you about my updates, and like my Facebook page for extra Mutton each day. Follow me on Instagram. Don't forget Pinterest! I always love hearing what others call their signature scents. So interesting! What an interesting post! I also loved Charlie for years! 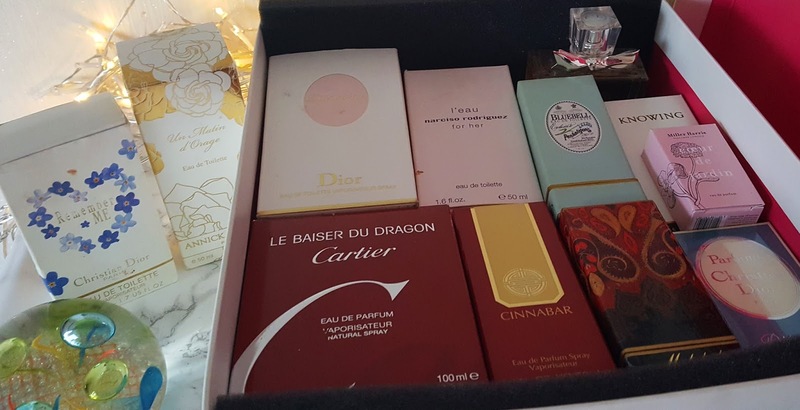 I went through my "scent phase" in my 20s, and now rarely wear it, but I still have all my favourite perfumes (I store them in their boxes). My personal favourite has always been Benetton's "Tribu" (it smells like tea on me). My one treasure from the 80s is a bottle of Salvador Dali perfume (the bottle is lips, and the stopper is a nose! ), although I find it too heavy now. When I do wear scent, it's usually a little touch of Geoffrey Beene's Gray Flannel - it belonged to my dad and reminds me of him. Thanks for the flashback, Gail!